As a man, balding is something you’re most likely going to experience in your life. By the time you reach the age of 50 or 60, there’s a good chance that you’ll be completely bald, or at least have a noticeable balding pattern on your head. But what, if anything, can be done about it? The good thing about balding is that it isn’t dangerous or deadly – it’s just very frustrating. It’s also quite common, which means an immeasurable amount of research has been poured into studying causes, researching preventative methods, and developing procedures for reversing the effects. While you could spend hours combing through different articles and research papers on the topic of balding, don’t make it more difficult than necessary. 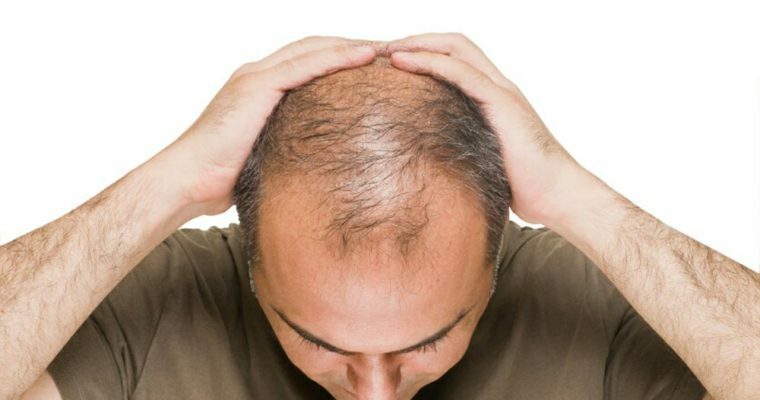 Here are some simple tips that may allow you to stop balding and regrow lost hair. Minoxidil, also known as Rogaine, is one of the most widely used medications. And even though it can’t do much to restore what’s already gone, it can certainly help you hold on to what you still have. The topical product, which is most popular, is applied directly to the scalp and helps increase blood flow, oxygen, and nutrient delivery directly to the follicle. The only negatives are that it can be a bit greasy and you’ll have to use it indefinitely to retain the benefits. The other FDA-approved drug is Finasteride, also known as Propecia. This is an oral medication that has been proven effective, has been linked to decreased libido and erectile dysfunction. Make sure you compare these two products before deciding. While you want to be careful not to expose your balding scalp to too much sunlight, a vitamin D deficiency could be contributing to your hair loss. Because vitamin D plays a catalytic role in resetting hair growth, you should take 2,000-5,000 IU a day of a vitamin D3 supplement – especially during the winter. Other good supplements to try include fish oil, zinc, B-complex vitamin, iron, and vitamin C.
Regular, gentle washing with a mild shampoo will lower your risk of infections and hair dandruff, which commonly leads to hair breakage, hair loss, and less volume. The best approach to balding is to be proactive. If you identify balding early on and implement some of the tips and techniques highlighted in this article, you’ll be able to slow the progression and keep more of your hair. However, balding is no longer irreversible. There are a variety of hair transplant procedures that can help – including Follicular Unit Transplant (FUT). The FUT procedure takes hair from the back and sides of the head and transplants them to the thinning and balding areas on the front and top. It’s performed under local anesthesia and is conducted by hair transplant physicians and surgeons, with minimal pain or loss of consciousness by the patient. Every man is different. And while there are certainly biological factors in play when it comes to balding, don’t just assume that you’re destined to prematurely lose your hair. From the foods you eat to the procedures you pursue, there are plenty of healthy and effective ways to stop balding and regrow lost hair. Come up with a plan and see what happens!